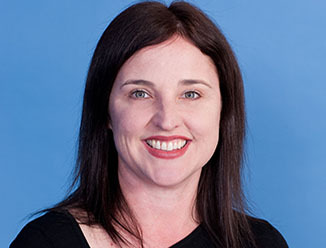 Perth, 28 October 2014 – Brisbane has emerged as the national leader in relation to improvements in the sublease office market, with a 19% reduction in available space in Q3. CBRE’s latest Sublease Barometers show that the capital city markets are continuing to diverge with both Sydney and Brisbane recording declines in sublease space while increases occurred in Melbourne, Perth and Canberra. In Brisbane, sublease availability has dropped to 64,405sqm - the lowest level in 12 months - while in Sydney the quantum of available space has fallen to 38,725sqm - the lowest point since 2011. 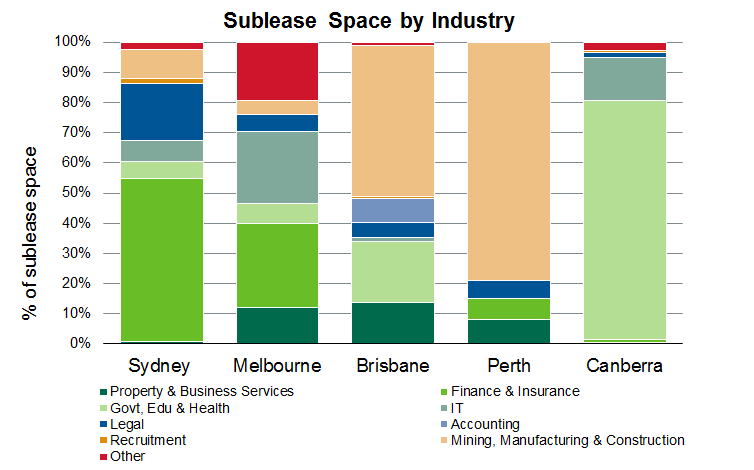 On the flipside, sublease availability in Melbourne has climbed to 79,961sqm - the highest volume in the country. A slight increase has also occurred in Perth, to 65,695sqm, with Canberra recording the biggest % increase to 42,240sqm, as a reducing headcount in many Federal Government departments continues to impact the market. CBRE’s Sublease Barometers track both the volume of sublease space and the trends occurring within different industry groups and market sectors. CBRE Regional Director, Office Services, Andrew Tracey, said the latest report highlighted that the market influencers - and future forecasts - vary significantly on a city by city basis. Another metric to consider, Mr Tracey said, was the volume of sublease space as a % of total office stock. In Sydney, sublease now represents just 0.8% of total stock – the lowest level in the country. Melbourne are Canberra each have the second lowest proportion of stock at 1.8%, with Brisbane at 2.9%. 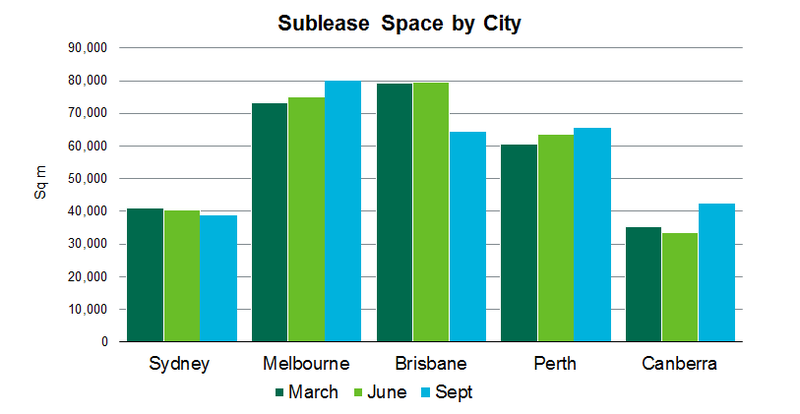 Perth is the city with the highest proportion of sublease space at 4.1%. “The majority of the sublease space in Sydney is concentrated in the sought after CBD core in premium and A-grade space, which represent the most appealing options for incoming tenants,” Mr Tracey said. Brisbane was another strong mover during the quarter, with the availability of sublease spacing dropping by 19% during the three months to the end of September. The major drivers of the decline were the commitments by Suncorp to circa 7,600sqm of former Rio Tinto space at 123 Albert Street; RungePincockMinarco to 2,422sqm of former Queensland rail space at 295 Ann Street and Bluesky to 1,499sqm of former Ernst and Young space at 111 Eagle Street. Additionally, four floors that had been available at 111 Eagle Street was reabsorbed by Ernst and Young and head lease tenant Arrow Energy. “Declines in sublease are directly linked to the quality of the fitout available in the sublease options. Space with a good fitout moves well, while sublease space with an old fitout tends to only move as short term project space,” Mr Tracey said, adding that the market in Brisbane remained highly competitive in both the direct and sublease markets. In relation to Melbourne, Mr Tracey said the 6.4% increase in sublease stock in Q3 was not necessarily reflective of the market and was related to a number of large new sublease options such as the 12,984sqm of AGL sublease space being marketed at 120 Spencer Street ahead of the company’s imminent relocation to Docklands. “If AGL was removed we would be seeing the same downward trend that is being experienced in Sydney,” Mr Tracey said, adding that contraction remained the key motivation driving sublease availability in Melbourne as businesses continued to focus on cost saving mandates. In Perth, sublease availability rose slightly during Q3, by 2,243sqm.While the quantum of space is 18% below the 80,653sqm sublease peak in Q3 2013 Mr Tracey said weakening demand from occupiers linked to the resources sector was continuing to hamper the market. “Contraction remains the only motivation for subleasing space in the Perth CBD,” Mr Tracey said. Sublease also remains an issue for the Canberra market, with CBRE forecasting that availability will remain around current levels for the remainder of the year. “The accountability of government departments regarding workspace utilisation and mandatory financial reporting has been a key market driver,” Mr Tracey said.